Have you been injured on the job, or fell victim to a negligent avoidable accident on someone’s property, if so, you may be eligible for compensation for your injuries. Countless unnecessary and avoidable injuries occur to both employees and innocent patrons each and every day in our community. In many circumstances, if basic work place safety procedures were practiced, injuries to both employees and patrons alike could have been avoided. Insurers have plenty of attorneys and investigators on their payroll, you should too. In the state of Florida, you have rights, let Saffron Investigations, LLC work for you. If you become involved in a “Personal Injury” accident, time is of the essence when documenting your injury. Have one of our Rapid Injury Documentation investigators collect the evidence you will need to prove your case. Our goal is to provide the client with a rapid response to the scene of the personal injury accident. We have a working understanding of the importance of preserving and collecting evidence from the scene of your personal injury. Over time, injury scenes have the potential to be altered or modified leaving the investigator or adjuster with an altered view of what actually took place. If you slip & fall or injury yourself in any way on property not belonging to you, you can rest assure, the property representatives are scrambling to protect their interests. Let one of our experienced private detectives collect and document the evidence your personal injury attorney will need to represent you in court. We utilize 3 decades of combined law enforcement and military investigative experience to gather and document crucial evidence needed to support your personal injury claim. We approach your injury case much the same way a police detective would approach a crime scene. We meticulously document, collect, and organize vital injury scene evidence that will be needed by your personal injury attorney to prove your case. Who better to document your injury claim than a private Detective trained by a former law enforcement major crimes detective. We overlook nothing! Let a Saffron Investigations Rapid Injury Documentation investigator conduct an independent personal injury investigation for you. Upon your request, we can recommend either a personal injury attorney or a workers compensation attorney to represent you. let us work in unison with your attorney in an effort to legitimize your claim. • How long after an accident do I have to report it to my employer? 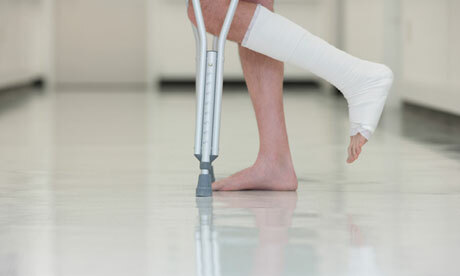 • When should my employer report the injury to their insurance company? • My employer will not report my injury to the insurance company. What can I do? • What kind of medical treatment can I get? • Do I have to pay any of my medical bills? • Will I be paid if I lose time from work? • How much will I be paid? • Do I have to pay income tax on this money? • When will I get my first check? • If I’m only temporarily disabled, how long can I get these checks? • Can I receive social security benefits and workers’ compensation benefits at the same time? • Can I receive unemployment compensation and workers’ compensation benefits at the same time? • What can I do if I am not receiving my benefit check? • If I am unable to return to work until my doctor releases me, does my employer have to hold my job for me? • Can my employer fire me if I am unable to work because of an injury and am receiving workers’ compensation benefits? • If I am unable to return to the type of work I did before I was injured, what can I do? • My employer and the insurance company have denied my claim for workers’ compensation benefits. Do I need legal representation to get my benefits? What should I do? • What is the time limit for filing a Petition for Benefits? • Is there a period of time after which my claim is no longer open? • Can I get a settlement from my claim? 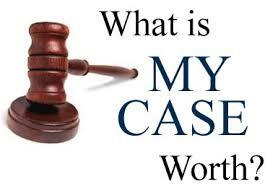 • If I settle my claim for medical benefits with the insurance company and my condition gets worse later, who pays for my future medical care, surgeries, etc? • What can I do when it is difficult to get a prescription filled or I am having problems with the pharmacy where I get my workers’ compensation medication? • I am one of the individuals covered by s. 119.071 (4) (d), Florida Statutes who is eligible to have my “personal information” exempt from a public record release. If I am injured on the job, and my First Report of Injury or Illness is reported to your office, will your agency automatically withhold my personal information from a public record request? The medical provider, authorized by your employer or the insurance company, will provide the necessary medical care, treatment and prescriptions related to your injury. No, all authorized medical bills should be submitted by the medical provider to your employer’s insurance company for payment. Under Florida law, you are not paid for the first seven days of disability. However, if you lose time because your disability extends to over 21 days, you may be paid for the first seven days by the insurance company. In most cases, your benefit check, which is paid bi-weekly, will be 66 2/3 percent of your average weekly wage. If you were injured before October 1, 2003, this amount is calculated by using wages earned during the 91-day period immediately preceding the date of your injury, not to exceed the state limit. If you worked less than 90% of the 91 day period, the wages of a similar employee in the same employment who has worked the whole of the 91-day period or your full-time weekly wage may be used. If you were injured on or after October 1, 2003 , your average weekly wage is calculated using wages earned 13 weeks prior to your injury, not counting the week in which you were injured. In addition, if you worked less than 75% of the 13 week period, a similar employee in the same employment who has worked 75% of the 13-week period or your full time weekly wage shall be used. You should receive the first check within 21 days after reporting your injury to your employer. Yes. However an offset, or reduction in your workers’ compensation check may be applied because the law states that the two combined may not exceed 80 percent of your average weekly wage earned prior to your injury. For further information on Social Security, you may contact the Social Security Administration at (800) 772-1213 or visit their website at www.ssa.gov . No, not if you are receiving temporary total or permanent total disability benefits as you must be medically able and available for work to qualify for unemployment. For additional information on Unemployment Compensation, you may want to utilize the Unemployment Compensation website at: www.floridajobs.org. Call the insurance company and ask for the adjuster or claims representative. If you still have questions and don’t understand why the checks have stopped, call the EAO at (800) 342-1741 or e-mail wceao@myfloridacfo.com. No, there is no provision in the law that requires your employer to hold the job open for you. Can my employer fire me if I am unable to work because of an injury and am receiving workers’ compensation benefits? No, it is against the law to fire you because you have filed or attempted to file a workers’ compensation claim. If eligible, the law provides, at no cost to you, reemployment services to help you return to work. Services may include vocational counseling, transferable skills analysis, job-seeking skills, job placement, on-the-job training, and formal retraining. To find out more about this program, you may contact the Department of Financial Services, Division of Workers’ Compensation, Bureau of Employee Assistance and Ombudsman Office (EAO) at (800) 342-1741 option 4 or by e-mail to wcres@myfloridacfo.com. It is your decision whether or not to hire an attorney. However, the EAO can assist you and attempt to resolve the dispute. If unable to resolve, the EAO can further assist you in completing and filing a Petition for Benefits. This service is provided at no cost to you. For assistance call: (800) 342-1741 or e-mail wceao@myfloridacfo.com . For the location of the nearest EAO, click on: www.myfloridacfo.com/WC/dist_offices.html . In general, there is a two (2) year period to file a Petition. However, it depends on the type of issue in dispute. You may call the EAO at (800) 342-1741 or e-mail wceao@myfloridacfo.com for specific information. If you were injured on or after January 1, 1994 , the claim is closed one (1) year from the date of your last medical treatment or payment of compensation. This period of time is referred to as the Statute of Limitations. If you were injured before January 1, 1994 , the period is two (2) years. Settlements may be made under certain circumstances and are voluntary; not automatic or mandatory. You are responsible for your future medical needs after your claim for medical benefits is settled. I am one of the individuals covered by s. 119.071 (4) (d), Florida Statutes who is eligible to have my “personal information” exempt from a public record release. If I am injured on the job, and my First Report of Injury or Illness is reported to your office, will your agency automatically withhold my personal information from a public record request?